Becca is super special friend of our family, and one of my very first cheerleaders in photography. She and I connected on our mutual travel bug and at one of my early career Edina Art Fair exhibits, purchasing some of my very first printed photographs. I didn’t know what country would lure her next, but it didn’t come as a surprise to me when she fell hard for an Irishman named Donal. 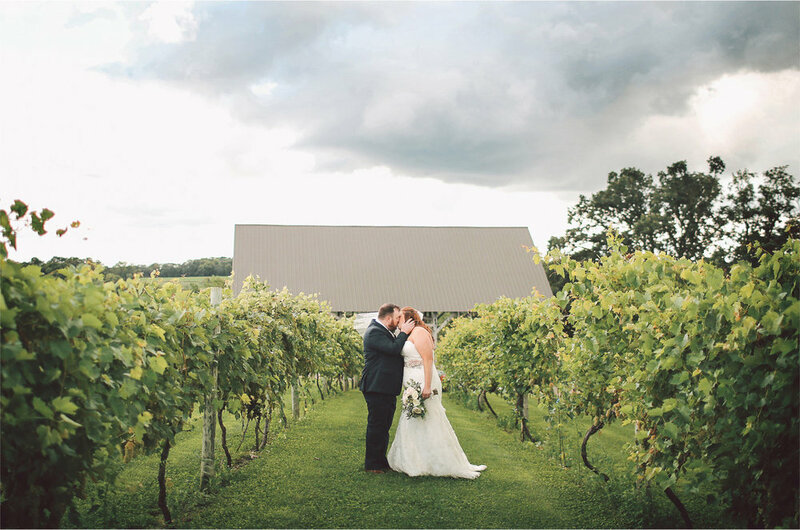 They toyed with the idea of a destination wedding, then found and fed their need for adventure at Cannon River Winery here in Minnesota. What a location! 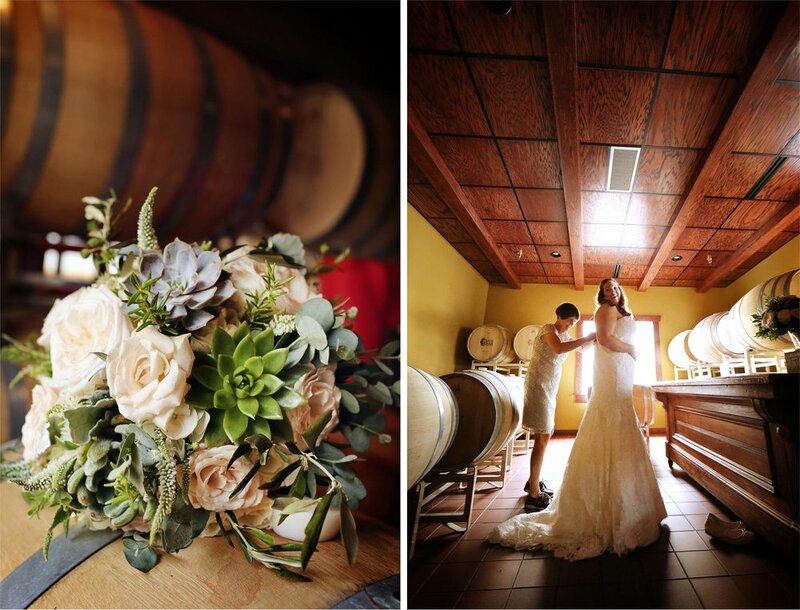 Guests met at the tasting room downtown and were exported out to the vines where Becca and Donal promised their lives to each other under an ancient barn frame. 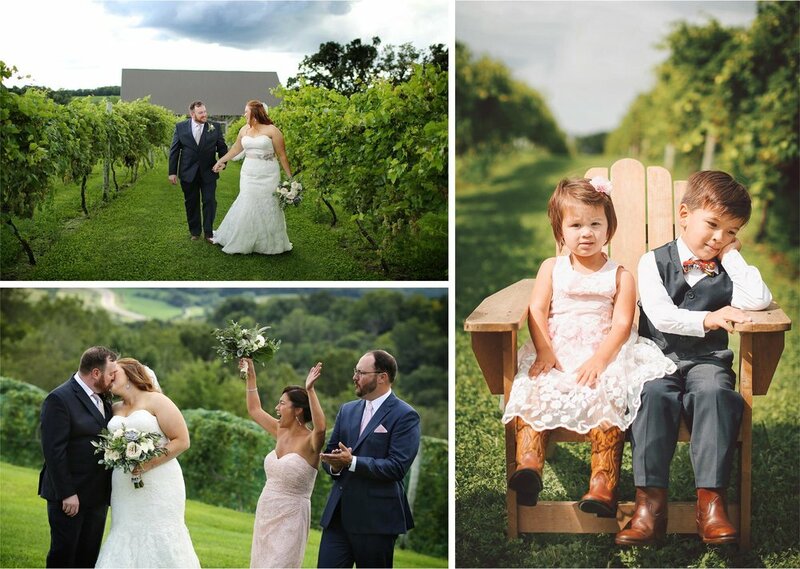 My wife Janelle, of White Confetti Planning, had everyone on the same page. 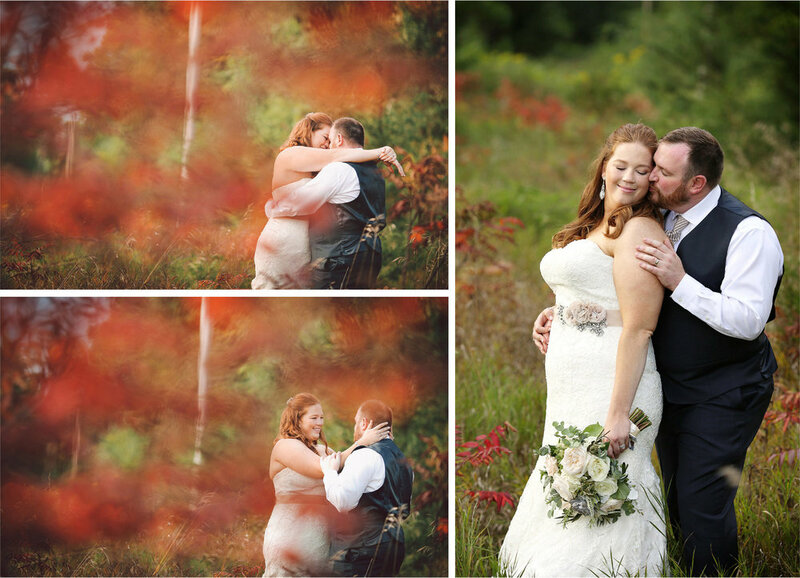 The setting was perfect and Janelle teamed with the talents of Amanda & Heather to help chase away the rain. 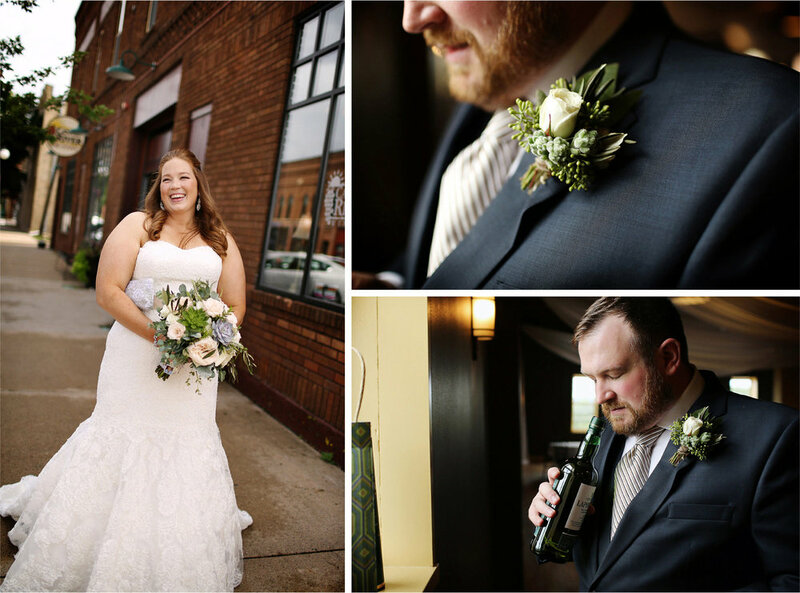 We never see such lush green in August so I felt it fitting that the family brought the green with them from Ireland. Donal knows just how good he has it and will defend this beauty to the end of the Earth and back again. From one cheerleader to another, I am forever their fan.